A strange and startling sight is currently ensconced in an asphalt area at the junction of Sand Hill Road and Whiskey Hill Road in Woodside, causing passing drivers to do a double take. 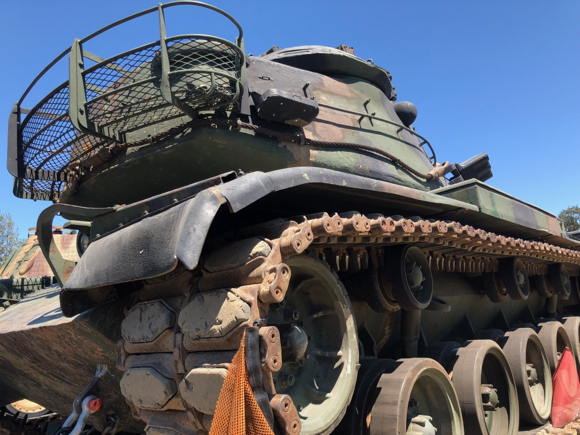 The last of the late Jacque Littlefield’s tank collection is being readied for a journey to the Collings Foundation in Massachusetts. An engineer by profession, Littlefield assembled the largest private collection of armored military vehicles. They were kept in a series of custom built, football field size warehouses at his estate on multiple acres in the hills above Portola Valley. A team from InMenlo toured the collection in 2011. Littlefield’s family donated the tanks and other equipment to the Coillings Foundation after his death in 2009. 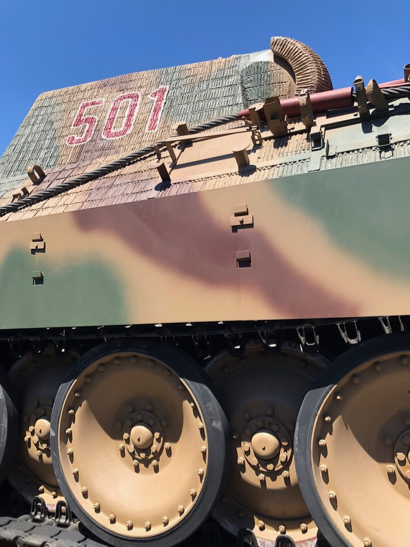 The foundation auctioned some of the tanks off in 2014 in order to build a military vehicle museum in Stow, Massachusetts. Tomorrow morning, the last of the tanks will hit the road for their cross country journey. InMenlo contributing photographer Betsy Sergeant Snow reports: “They’re staging here to put all the wheels on the trucks. 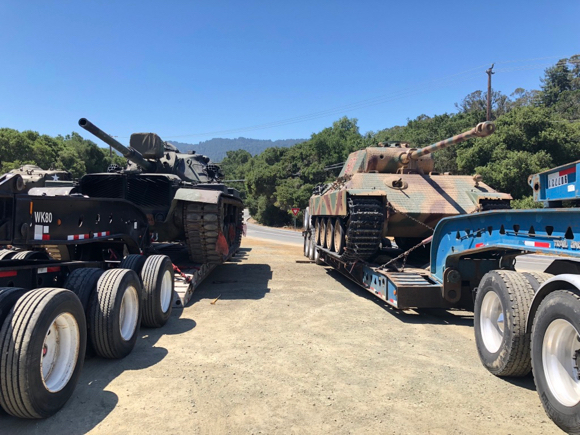 The cost to move each tank is estimated to be $60,000.